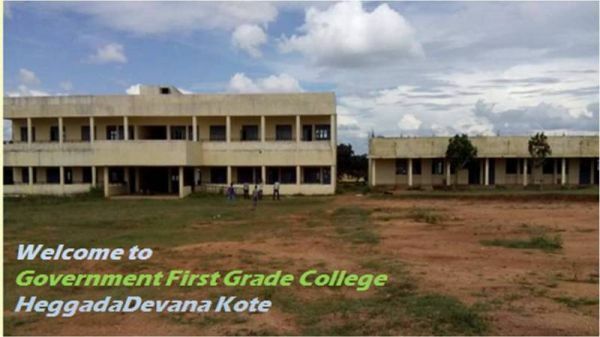 Government First Grade College H D Kote was started in the year 1985 in a small building in the town later it built a building in 7.26 acre campus.In the year 2011 the college started with a new building and now the college has totally 15 rooms with office of its own in 202 Sq Mtr Area. The college is 57 Km Away from Mysore it is located on the state highway of Mysore to Manandavadi. Still college have not recognized under 12(b) and 2 (f) of UGC. The college has not yet accredited by NAAC.